Every once in a while I just want to share what I'm learning and doing in my Bible journal. For the last year I've been learning a lot about Biblical Meditation and trying to put it into practice as I've been slowly soaking in Psalm 119. And, you guys, the results have been truly life changing. I'm going to share my personal pages and would love to have this open up a conversation on today's topic of HOPE. I am by no means an expert on anything I write on this blog. Instead of preaching to you or telling you "5 ways to have more hope," I'd rather go against all the professional blogger advice and just use this as a way to have a conversation and share. I'd love to chat over these pages with you and have you share what you know... what you've learned in your life... maybe what stood out to you in my musings here. Just leave a note in the comments and let's talk! So let's dive into HOPE. We all need more hope, amen? This is the whole hot mess two page spread in my Bible journal. It's more like a treasure map than Bible art journaling. This is what it looks like when I'm digging around, searching, questioning, and trying to stumble along in meditation. The top left is where I write out the verses I'm working on for this spread. In the middle is always the reference. Then I get to work. But, I don't want this to be a blog post on HOW to meditate (though I can go into the process in other posts if you're interested), but what the Bible says hope is. Hope is also something we need to work at with perseverance. It's WORK. It's discipline. This was a new insight for me. I guess I had always thought you either have hope or you don't. I hadn't thought of it as something that needs to be cultivated. So because it is work, where do we go to get it? What causes it? And what does the Bible tell us to hope in? This was a very good reminder. Most of the time I hope in so many other things and don't even realize it until that thing happens and isn't as amazing as I had thought it would be, or it doesn't happen and I'm discouraged and depressed. Hoping in the Word, the Lord, His faithful love, and His salvation... those are things that will never disappoint. What does hope look like in life? Hope isn't a smiling, joyful face but rather a resolute, determined, dirt smudged laborer. So, now I've shown you my treasure map of meditation on hope. What do you think? Kari, I agree with you. Hope is something you have to work at. It's easy to say I have hope,, but then I wake up the next day and my depression is so bad that it's hard to get myself out of bed and get up and go. It's not fair to my daughter. I don't give up, and I have hope that this will end. Yes, you're so right. Hope is day by day, sometimes minute by minute, speaking truth to yourself. I applaud you for keeping hope alive by getting out of bed. Sometimes just putting feet on the ground seems like a monumental task. I love your thought mapping, it doesn't matter what others really think as long as you love it. 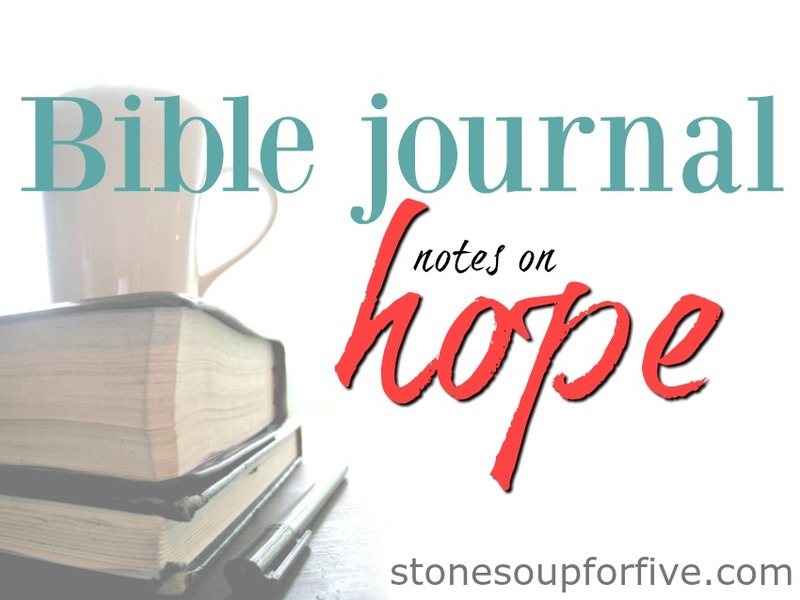 Thinking of my own Bible journaling I would need to put the thoughts of how to keep hope alive since I struggle with depression frequently. I have made some changes to my diet and herbal supplements and that has made a huge change. My self Bible studies, constant studying has been a big influence too. Thank you for showing us all your "doodling" it's nice to see that there isn't a right or wrong way of taking in scripture. Keeping hope alive was such a good list to come up with for me. I get easily overwhelmed when it doesn't seem things are moving as well or as fast as I'd like, you know? I'm glad you found some ways that help and that you're keeping close to the Word! Hope can be so difficult. Hoping and having faith that tomorrow will be a better day! Some days I have to stop myself and say, yes I do talk to myself; don't let this day get the best of you, make it good, have faith the sun will shine! Hope that no customers call and have me in tears by noon! With that being said, I love your Bible journaling! I've talked to myself many, many times too! Sometimes hearing it said helps! I just love this! Thank you for being vulnerable and sharing! This week I was looking at Romans 5:2-5. "We know that suffering produces perseverance; perseverence, character; and character, hope." To think that in my suffering, God is changing me and giving me hope, now that's something to be hopeful about! Oh, such a good passage! I have that one written on my chalk wall nice and big so I see it every morning as I seem to forget too easily! Love it. It was extremely eye opening to me too, especially realizing that hope is a lot of hard work and a deliberate mind-set. So glad it blessed you! Wow Kari!!! I really like what you did. I've learned sooo much with your posts! You've been a blessing to me. I'd love you to post about how you study and meditate as you said. Thank you sooo much for sharing!!! I've been traying to post this for hours! I hope I can do it now. Glad you were able to post all the way from Mexico! Thanks for stopping by! Are you going to have an advent study this year? I can't find the one from last year. Yes, I'm updating The Promises Advent study and it will be available both on Amazon as a printed study and on PDF a usual. My goal release date is November 12th! I love to see your layouts and thought processes. I would love a video on how you meditate and pick out the pieces that speak to you. I love Bible Study, but have always followed along with a written/led study. I don't do well just reading and then note taking/doodling/meditating. I find it hard to really "see" things - but when I read other's notes and commentary, it really helps me. I've really missed your videos on katchme. Would love to see more videos of your processes! Ya, I realized that videos are hard for me, but maybe I'll work through something sometime on one! Learning how to dig into the Word for myself is definitely something I am learning too. It IS hard sometimes, but man, when you get struck with something you've never seen before, it's totally worth it! I love your notes on "hope" I've learned a lot from it. I never knew hope was something you had to work at. I thought it was either you had hope or you didn't but I guess it does fall along the lines of cultivating faith. What journal do you use? 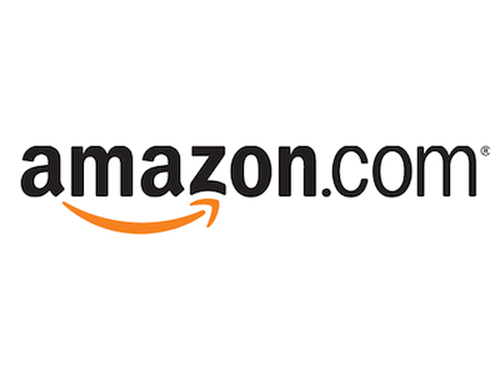 I have been looking for something without lines but haven't found anything yet. Would love to know how you meditate on the Word while you're studying. Thanks for sharing it has been very insightful. Right? Me too! This journal is a thin 8.5x11 ecoQua 40 sheet notebook. But I think I'll go back to my favorite 108 page canson art book soon. I would love a dot grid hardback journal in a nice size, but I'm still searching. I, too, am on the dot grid hardback journal in a nice size search! If I find it, I'll let you know! They always skip one thing on that list, so it just isn't right. Oh what amazing timing then! So cool when God works like that! Thanks so much for sharing this with us! It is beautiful and I love how you have put all your thoughts together like this. I have been wondering how I could do this myself (put my thoughts on certain subjects and the scriptures that help: doubting my salvation, why God is good, so many things...) and I could only think to do it in some sort of binder separated by subject. This is so much better. Thanks for commenting Jen! I will continue to work through meditations and pray on how I can help more people learn this method of Bible study! Keep watching for more... but I encourage you to start yourself. It may seem weird or clunky at first, but keep with it! Let's keep talking too, tell me where you get stuck, what you enjoy, etc! Thanks! I think that alot of the time to go deeper in understanding what the Bible is telling us we have to throw out our understanding of words. Hope to us is more like a wish, but Biblically it is a confident expectation and that is huge. So we don't consider hope to require work because wishing is easy, but to CONFIDENTLY EXPECT something, now that is another story. I especially liked your last pic, the action steps. Which I am copying, by the way. The things you listed make a good reminder of choosing the better thing. 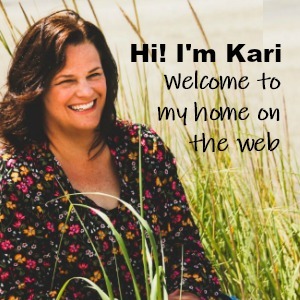 Thanks Kari for writing your blog like a visit from a good friend. A.M.E.N. Nancy! I love your thought that we don't expect it to be work because wishing is easy! So true! Love this... Thanks for commenting and your encouragement! I love, love this!! I am going to try this style of journaling! My favorite thing that I have learned about hope is that the Hebrew word also literally means cord/rope. I just love the picture that gives--we know what we have at the end of the "cord" even when we can't see it, and hope lets us hold onto it. I may have done a "Frozen Fever" inspired activity for my kiddos last year with a present at the end of a string to teach this during Advent... ;) Thanks for sharing this! 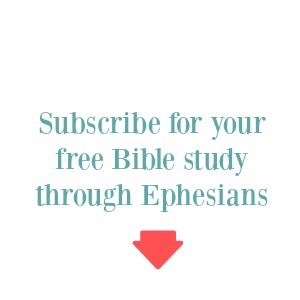 This is so cool can't wait to receive the ephasians study. I love your posts....thank you so much for sharing. You have beautiful handwriting! Can you tell me what pen it is that you use? I'm just using a regular cheap Bic ball point pen. Nothing fancy at all.